The wait is over! 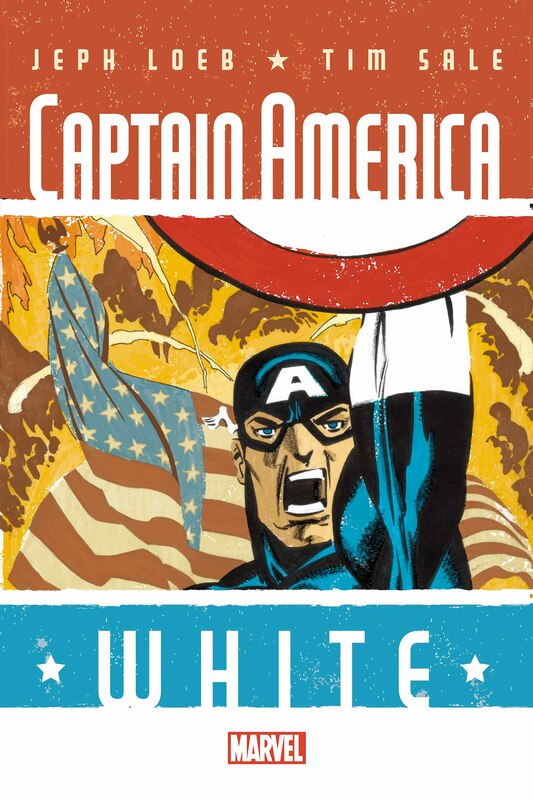 Today, Marvel is pleased to announce that CAPTAIN AMERICA: WHITE #1 is set to be published in September of this year! The Eisner-award winning creative team of Jeph Loeb and Tim Sale reunite to bring you the next installment in their prestigious ‘color’ book series. Following such seminal works as Spider-Man: Blue, Daredevil: Yellow and Hulk: Gray – CAPTAIN AMERICA: WHITE continues the unique collaboration between Loeb and Sale with an all-new story that fans have been clamoring for! Previous collaborations between these two icons have yielded modern comic masterpieces – and now is your chance to be there for the birth of their next blockbuster hit! Peel back the layers of Steve Rogers with this untold tale of Captain America, as he defended the world from the forces of evil, and met a young man named Bucky Barnes who would change his life forever. 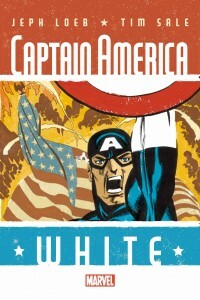 Jeph Loeb & Tim Sale’s combination of in-depth characterization and high stakes action take on one of Captain America’s most dangerous missions of all! At long last, the eagerly anticipated series returns. Be there when this legend in the making comes to comic shops and digital devices this September with CAPTAIN AMERICA: WHITE #1! Experience Loeb & Sale’s other iconic collaborations with the Jeph Loeb & Tim Sale: Yellow, Blue and Gray hardcover – on sale now in comic shops and wherever books are sold!